Home > Money Transfer > How to carry money safely while traveling to India? How to carry money safely while traveling to India? For a foreign visitor in India unfamiliar with the system, money can be quite a challenging thing to carry in safety. Although India is quite welcoming a country for tourists coming from abroad, there are certain risks and pitfalls while dealing with some of the locals, which is where one needs to be safe with money and anything valuable. But there are ways to keep your money safe and secure, so, worry not, for this guide will take you through a few steps of carrying your money safely during your voyage to India. 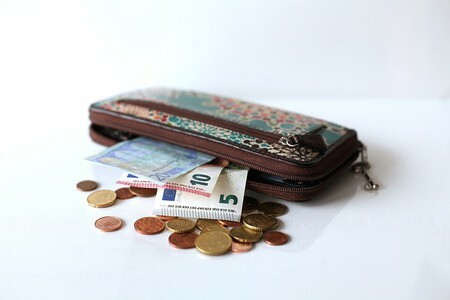 Although carrying plastic money feels like the way to go, some handy cash will go a long way in ensuring safe passage. If you’re visiting some remote areas or using public transport even in the major cities of India, keeping some cash on hand makes your job a lot easier. Avoid carrying hefty amounts of cash, and since ATMs are available at almost every place in India, make use of them as needed. Be careful about using the right ATM, keep your liquid cash safe in your purse or backpack, and hold on tight to your belongings always. American Express offers the most useful kinds of traveller cheques, along with some others, and those are exceptionally easy to use in India. Although traveller cheques aren’t as popular anymore due to the availability of ATMs, they can be your emergency backup in case of a stolen credit card or lack of cash. Many places in India accept traveller cheques and the great part about them is that they can be replaced if lost or stolen, making it less of a hassle than a credit/debit card. It is always good to have a backup plan in the form of a traveller cheque. Always keep your travel documents handy. In case of any emergency like the loss of a credit or debit card, traveller cheque, an ATM mishap etc. keeping documents with you will help in filing a complaint for the same. In case of any identity theft issue, this can come in a lot of use. It is also important to keep copies of your documents so that you don’t lose the original ones along with your money if that happens at any point. Travelling through public transport, tipping, shopping in small towns, eating at a street vendor etc. are just some of the things that require you to have change at your expense. It is always recommended to keep change quickly available to yourself so that navigating through places where large amounts of cash aren’t needed becomes easier. It also helps you in keeping track of the money you spend. At most places like hotels or public transport, tipping and purchasing tickets will require you to use Rs.10, 20, 30, 40 or 50, so keeping a few notes handy will go a long way in ensuring yourself ease of access. Tourists get scammed right and left if they aren’t mindful of the places they exchange their money at. The easiest way would be to exchange currency at the airport upon arrival, and later making use of the popular places of currency exchange and keep a check of unauthorized places that provide currency exchange. At an authorized location, you will get the exact rate of exchange instead of a made-up one which will rip you off. Keep both your national currency as well as Indian currency at hand so you can exchange it when needed. Some major places also accept US dollars and Euros in India. Never waste a single moment when reporting your loss of credit/debit cards. Online portals for the same are easily available, and once you’ve reported your loss immediately, it can become easier to block the card or return it to you in time. Contact the card companies or banks instantly, and also file a report at the nearest police department in case your credit card company asks for an official police report. This way you can obtain cash or an emergency card from the company as soon as possible. Travelling in India for the first time can be a bit confusing when it comes to money matters, but once you’ve got the gist of it, there won’t be anything to worry about. After all, the priority is to enjoy your time in the country. Rohit’s excursions across India have given him plenty of knowledge about the life of a tourist, and he shares his thoughts on transindiatravels.com to help out other enthusiastic visitors of India.